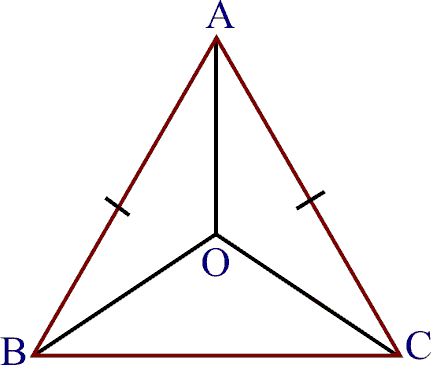 (i) OB = OC (ii) AO bisects . 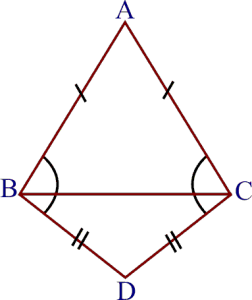 Q.2 In ABC, AD is the perpendicular bisector of BC (see figure). 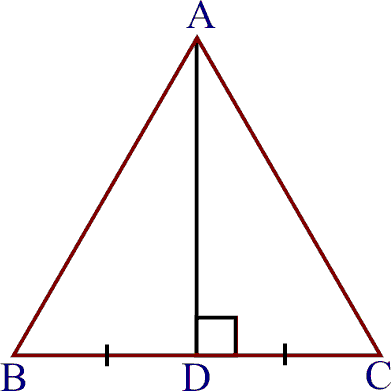 Show that ABC is an isosceles triangle in which AB = AC. 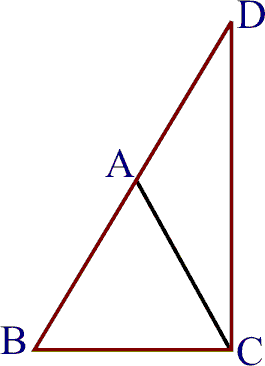 Therefore by SAS criterion of congruence, we have. 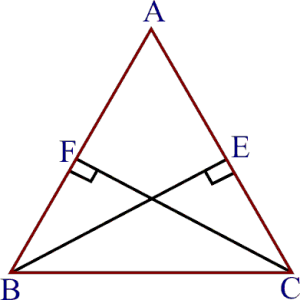 Q.3 ABC is an isosceles triangle in which altitudes BE and CF are drawn to sides AC and AB respectively (see figure). 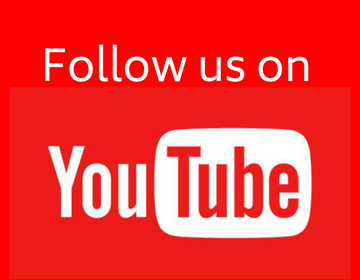 Show that these altitudes are equal. 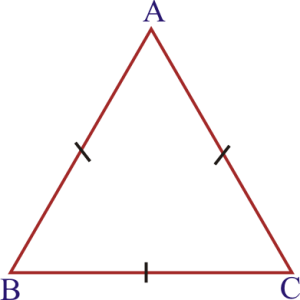 (ii) AB = AC , i.e., ABC is an isosceles triangle. Let BE AC and CF AB. 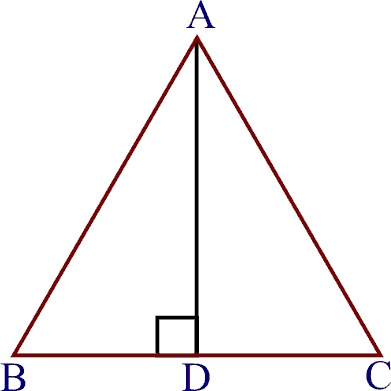 Q.5 ABC and DBC are two isosceles triangles on the same base BC (see figure). Show that . 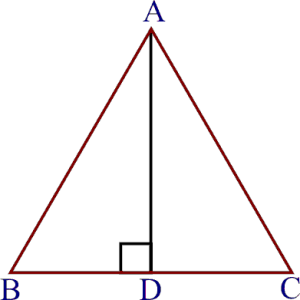 Q.6 ABC is an isosceles triangle in which AB = AC. Side BA is produced to D such that AD = AB (see figure). 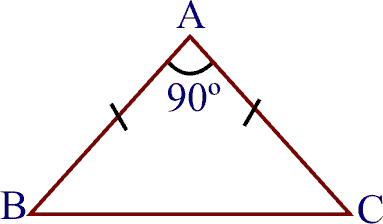 Show that is a right angle. Hence , is a right angle. Q.7 ABC is a right angled triangle in which 90º and AB = AC. Find . 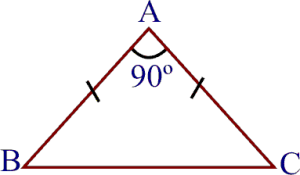 Q.8 Show that the angles of an equilateral triangle are 60º each. 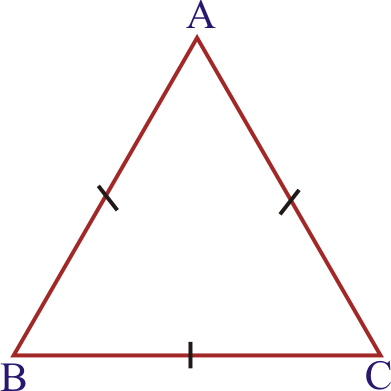 Let ABC be an equilateral triangle so that AB = AC = BC. 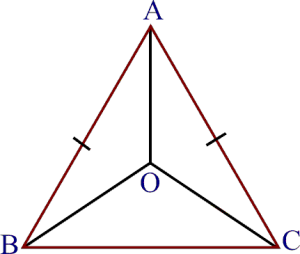 Thus , each angle of an equilateral triangle is 60º.